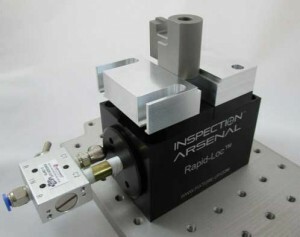 Rapid-Loc™ pneumatic vise for CMM Inspection is designed to take advantage of the air at your CMM. 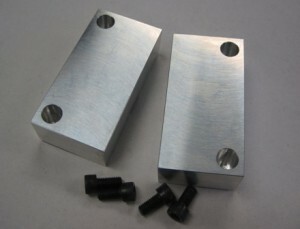 Soft jaws for the Rapid-Loc™ vise can be customized to hold most any part. Regulated air pressure can produce just enough clamping force to hold delicate parts or as much as 150lbs if needed. Mount Rapid-Loc™ vises on Loc-N-Load™ quick-swap fixture plates for fast, accurate, and highly repeatable setups that help break inspection bottlenecks. 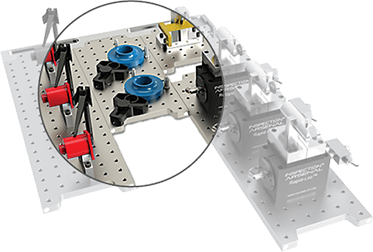 Rapid-Loc™ can also be mounted on existing CMM breadboards. Add the Rapid-Loc™ Base for Metric to use with metric plates.